Planning and shopping for your new kitchen cabinets installation might be challenging. Having an enormous and vast range of choices, at times it could be difficult to select which kitchen cabinet you should go for. Selecting the kitchen cabinets will be the very first step of your kitchen cabinet installation. 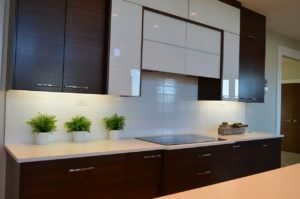 The team at Masters Wood finishing of Kitchen cabinets refinishing Toronto are experienced and experts in Kitchen Refinishing Vaughan and all types of Kitchen cabinet painting Brampton. Seeking the help of a professional kitchen cabinet installer is always advisable. Most of the times companies who sell the kitchen cabinets do have the professional installers to install the cabinets for the clients. If you find that the kitchen cabinet company is not providing you with the installation services it is always a good idea to seek another kitchen cabinet company who might be having the professional services of kitchen cabinet installer as well. 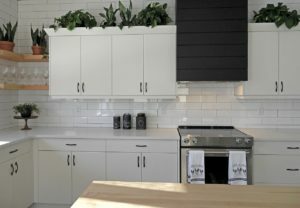 Installing the kitchen cabinets on your own, or to allow a person who might have no experience; how to do the job, will ultimately increase the cost for the installation process to end right. For the professional help of kitchen cabinet installation, you can contact our team of Kitchen cabinet painting Mississauga, having a vast experience in all types of kitchen cabinets installation, repairs and painting; will do the job for you with a professional finish. Another very crucial step in the process of kitchen cabinets installation is the precise measurements before the installation of the kitchen cabinets. If one inch goes wrong it might end up putting off the whole installation process of your kitchen cabinets. Our team of Kitchen cabinet painting Richmond Hill, and kitchen cabinets installers has been providing the professional kitchen cabinets installation services from years now and we can help you with any type of kitchen cabinet installation. The installation process varies from installer to installer but in any of the process the installers are careful with the measurements, even floors and cleaned and primed walls. Kitchen cabinet installation if done right from the start, will last for a very long time. The work our team of Kitchen cabinet painting Brampton, and Kitchen cabinets refinishing Toronto has left behind in our every project of kitchen cabinet installation, repairs and painting have helped us to grow more with our positive testimonials and good referrals of our loyal clients. Contact our team of Kitchen cabinet painting GTA, and Kitchen Refinishing Vaughan today for all your kitchen cabinet installation, repairs and painting solutions.